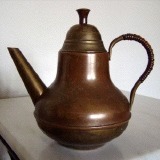 This Teapot is made of copper with wooden handle grip. 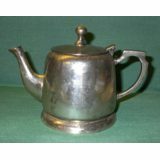 This teapot is silver in color, but is not stamped silver. There are no markings of any kind. It is very solid. Lid is on a hinge. 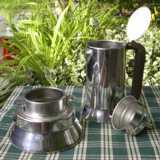 Here is a one serving coffee press that is ready to make your next cup. 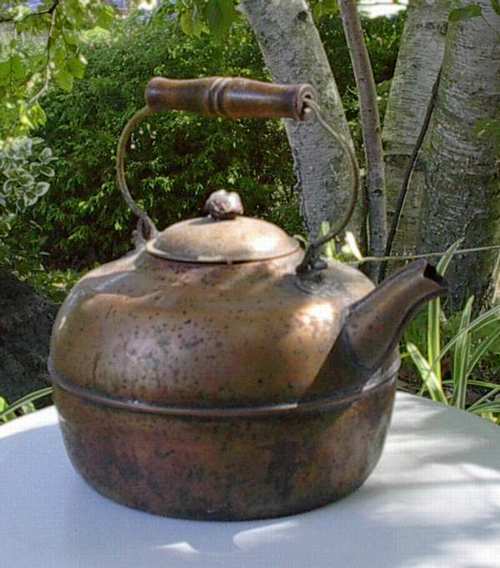 It is an all metal construction except for a rubber seal between the upper and lower sections.